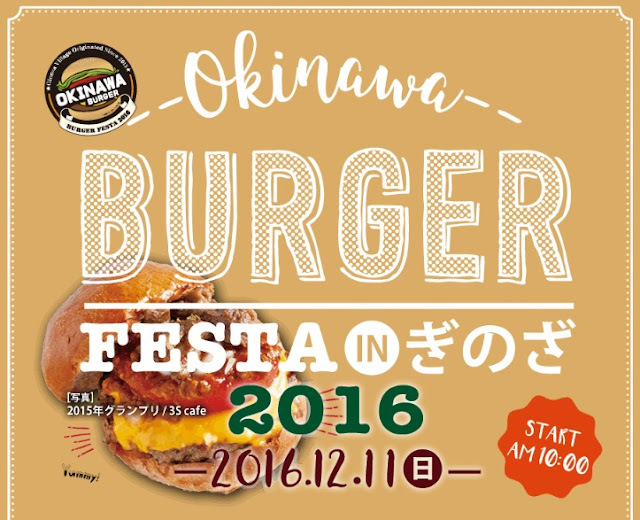 Vote for the Best Burger in Okinawa! Burger joints from all around the island will be vying for the title for the "Best Burger in Okinawa". The event will be held at the Ginoza Nou-son Park (near the Ginoza baseball field and sports dome). Event Information is below. Date: December 11, 2016 (Sunday). Location: Ginoza Nou-son Park (Near the Ginoza Sports Dome & Baseball Field). 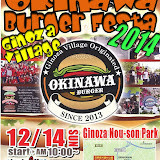 Participating Burger Shops: See Ginoza Village Office Tourism Website for participating stores (12 total). Purchasing a Burger: Burgers can only be purchased with a voucher. Vouchers are sold in booklets of 10 for a total cost of 1000 yen for each booklet(10 x 100 Yen). There should be a ticket booth at the festival where you can purchase these vouchers. (Yen Only). Number of vouchers may vary when purchasing certain burgers. Voting: After you receive a burger you will receive a voting 'marble'. Take the marble and throw it in one of the 12 burger shop voting boxes at the polling booth. The marbles will be counted at the end of the day. The burger shop with the most 'marbles' will win the Burger Festa Contest! The winner will be announced at 4:30pm. Official Website: Ginoza Village Office Tourism Website. Parking Available: See Official Website for parking location. Parking has been mapped out on their website. Inclement Weather: The event will continue if light rain occurs. If severe rain is expected, the event may be subject to cancellation. Please plan accordingly. 1. Expect long lines at each burger station (12 stations anticipated). Consider bringing small snacks/drinks to get you through the wait. 2. Make sure you get your ticket vouchers before you stand in line. Burger Booths will not accept Yen. Directions. The Ginoza Nou-son Park is located near Highway 329 in Ginoza Village. 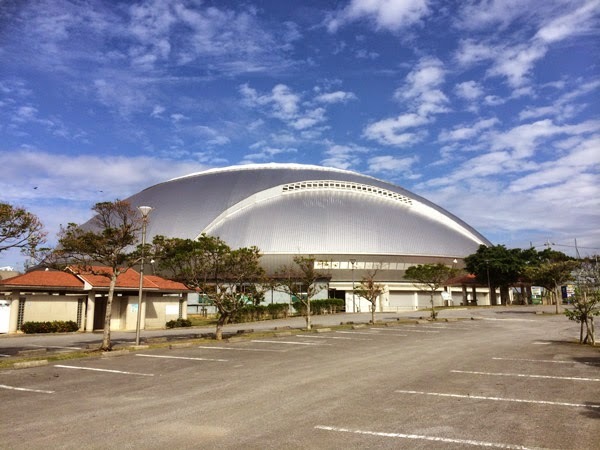 It is also near Entrance/Exit 9 of the Okinawa Expressway and the Ginoza Sports Dome. Visit the Ginoza Office Website for directions and parking. Reference. Ginoza Village Office Tourism Website.